Vogler Sheet Metal came to Houston in 1904, opening its doors at its location on Brunner Ave and is now located at 2625 Karbach Street in Houston. Originally, Vogler was a tin shop specializing in light metal fabrication, such as water tanks or cisterns, guttering, metal roofing, flashings, kitchen vent hoods, countertops, skylights, ventilators, etc. 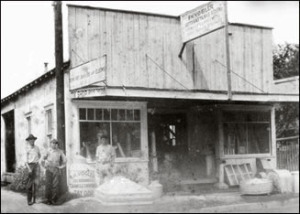 The Vogler family operated the business from 1904 through 1965. For the following thirty years, Ken Rawls took over ownership. Kenneth Jeanes, started working for Mr. Rawls in 1984 and took over ownership in 1997. Mark Mancino joined Vogler in 2008 and soon after purchased an ownership interest in the company. Kenneth and Mark sold the company to James Kaiser in 2012 and James is committed to insuring Vogler’s history in customer satisfaction and quality products. For over 110 years, this company has provided continuous service to Houston and surrounding areas. Vogler has always operated the business with longevity in mind. Vogler Sheet Metal continues to specialize in roofing and sheet metal work for the homes and businesses of Houston and the surrounding area, but we have added many new products and capabilities such as commercial roofing and our maintenance department.